ASA's Cassini spacecraft has sent to Earth its first views of Saturn’s atmosphere since beginning the latest phase of its mission. 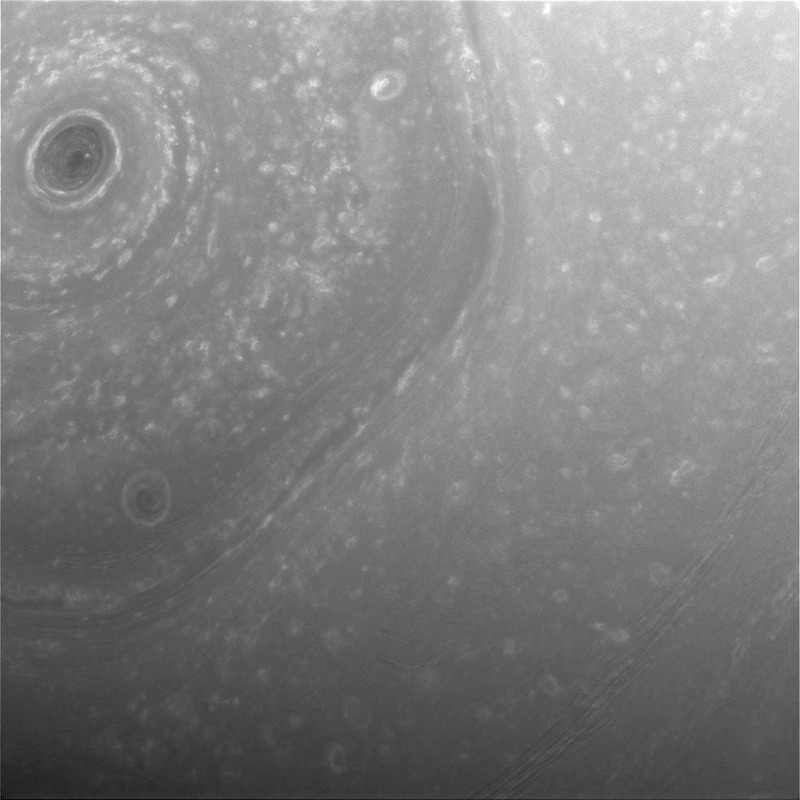 The new images show scenes from high above Saturn's northern hemisphere, including the planet's intriguing hexagon-shaped jet stream. Cassini began its new mission phase, called its Ring-Grazing Orbits, on Nov. 30. Each of these weeklong orbits — 20 in all — carries the spacecraft high above Saturn's northern hemisphere before sending it skimming past the outer edges of the planet's main rings. Cassini’s imaging cameras acquired these latest views on Dec. 2 and 3, about two days before the first ring-grazing approach to the planet. Future passes will include images from near closest approach, including some of the closest-ever views of the outer rings and small moons that orbit there. "This is it, the beginning of the end of our historic exploration of Saturn. Let these images — and those to come — remind you that we’ve lived a bold and daring adventure around the solar system’s most magnificent planet," said Carolyn Porco, Cassini imaging team lead at Space Science Institute, Boulder, Colorado. NASA Alert: "Alien Lifeforms May be More Complex Than Anticipated"